In our mountain bistro: The discoveries moment ! Open all day during the season from April 8th – 8.30 a.m./9.00 p.m.
L’Etape du Randonneur is a place in our image … simple and friendly where we can highlight the work of local producers with whom we share the pleasure of making you discover the Val d’Azun. 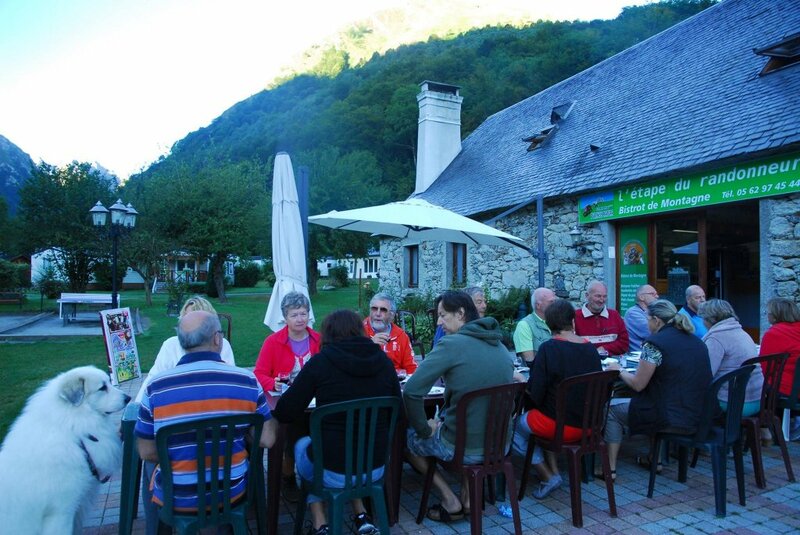 In our mountain bistro, l’Etape du randonneur above all is … the taste and the opportunity to make known the local specialties that we cook and cook for a long time. No long lists of dishes in our menus because our products come from the valley and evolve with the seasons! Our pigs are raised at the Col du Soulor and the charcuterie made in the valley, sheep and cattle are in Estaing during the summer. In our old barn dating from 1824 with its fireplace or on the terrace with panoramic views of the surrounding mountains you will enjoy sharing family healthy and natural dishes and find the taste of good things of the land on the plate. We are ticklers of taste buds and will have pleasure to exchange with you during your stop in our bistro. See you soon for new taste adventures ! Whether hiking back with a plate of cold cuts and cheese or for a convivial aperitif, everything is an excuse to stop at any time. The holidays are an opportunity to return to the “real”, natural, far from this new trend of revisited dishes, So … let yourself be surprised and get back to basics ! 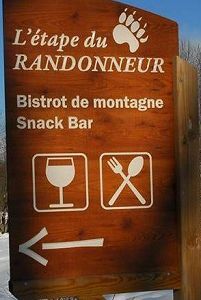 At the bar l’Etape du Randonneur you will be able to appreciate wines, aperitifs and 67 sorts of beers and again, the regional producers are put forward. And for the amateurs wanting to have fun, you will have a wide choice of gin, whiskey, rum and rum arranged.